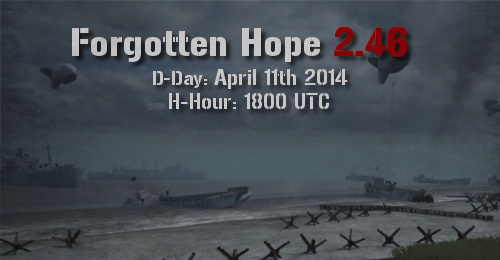 Today we are proud to finally be able to release Forgotten Hope 2.46! Below you will be able to find a link to download the FH2 Launcher, as well as the password for the pre-release files. 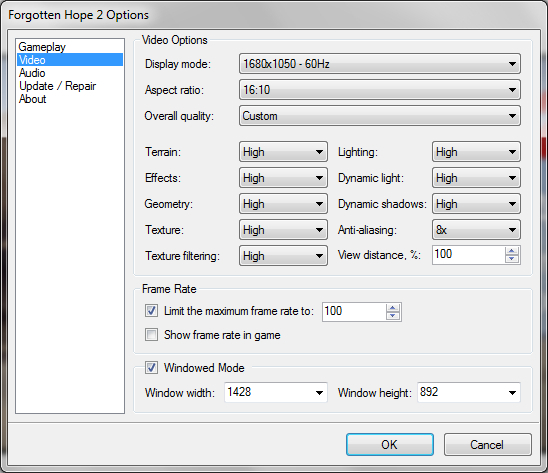 For those of you who are using the installers, all you have to do is run them and follow the instructions. You will be asked if you want to overwrite your current 2.45 installation or not. Other download options can be found here on our downloads page. FH2.4 server files for administrators. You don't need to download this, unless you plan on running a FH2 server. On a final note, we hope you enjoy the new patch and have some great times while playing with the new content. Also, be sure to drop by our public forums and voice your opinions on the new version. If you have any questions about the torrent, the installer, or Forgotten Hope 2.46 in general, you can always join us on our IRC channel, Teamspeak 3 server (IP: 85.25.95.195:4128) or our public forums and will we do our best to help you out. Thank you, and see you on the battlefield! 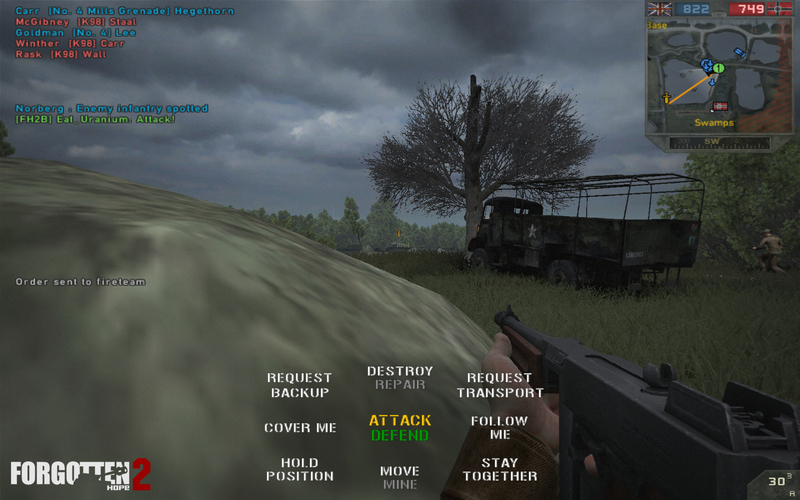 Our winner for this week's screenshot competition is 15Roughbeak15. You can view the winning submission here. We are now accepting entries for the week of April 14th. If you think you have the best FH2 screenshot, post them here. That's all for today, but be sure to come back soon for another update. Until then, feel free to visit our IRC channel, our public forums, and/or our Twitter and Facebook pages to discuss this update and other news. 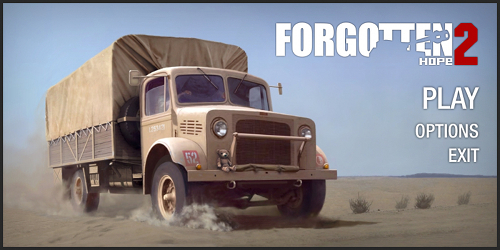 Today we'd like to show off the 2.46 Trailer, once again made by Kubador. We hope you enjoy watching it as much as we enjoyed filming it! The S1-100 was based on a Rheinmetall design similar to the Bergmann MP18. In the aftermath of the Treaty of Versailles, Rheinmetall was forced to buy the Swiss company Waffenfabrik Solothurn in 1929 and work on the prototype there in secret. The S1-100 was a sound weapon, but Solothurn was ill suited to mass produce it. To solve this, Rheinmetall bought a controlling stake in Austrian Waffenfabrik Steyr, and produced the design as the Steyr-Solothurn S1-100 for commercial and military markets. The MP34 was the designation given to the S1-100 chambered in 9x25mm Mauser upon its adoption by the Austrian Army (the police adopted it as the MP30). 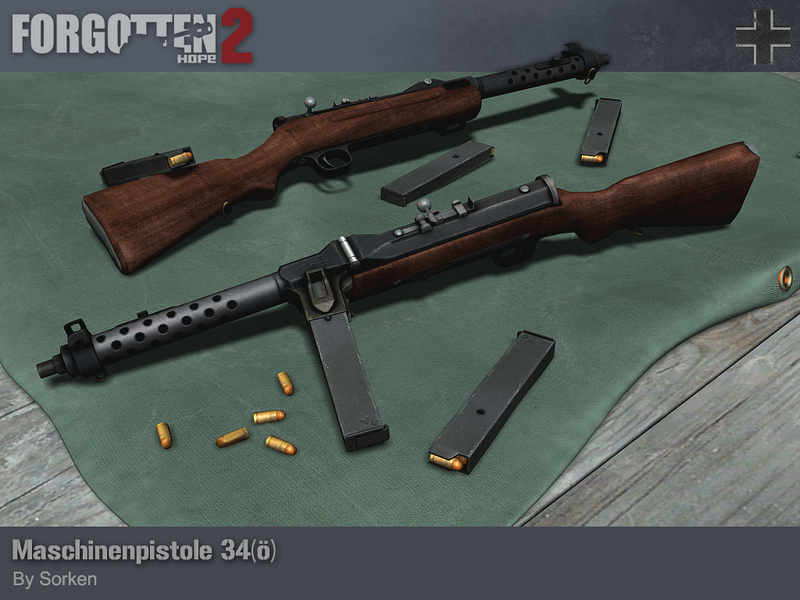 Following the 1938 Anschluss, these weapons were acquired by the German Army, and a number were re-chambered for 9x19mm ammunition as the MP34(ö). A solid weapon made from high quality materials, the MP34(ö) was a poor design for war production, and mid 1940 saw it replaced in production by the simpler MP40. 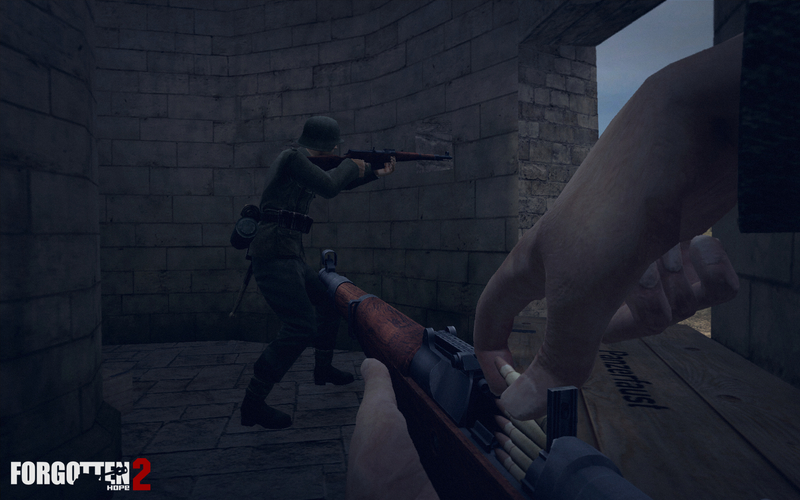 It had only a short combat life in the early days of the war, mostly with the poorly equipped Waffen SS units. When large numbers of the MP38/40 appeared, it was relegated to second line units. Our MP34(ö) was made by Sorken. 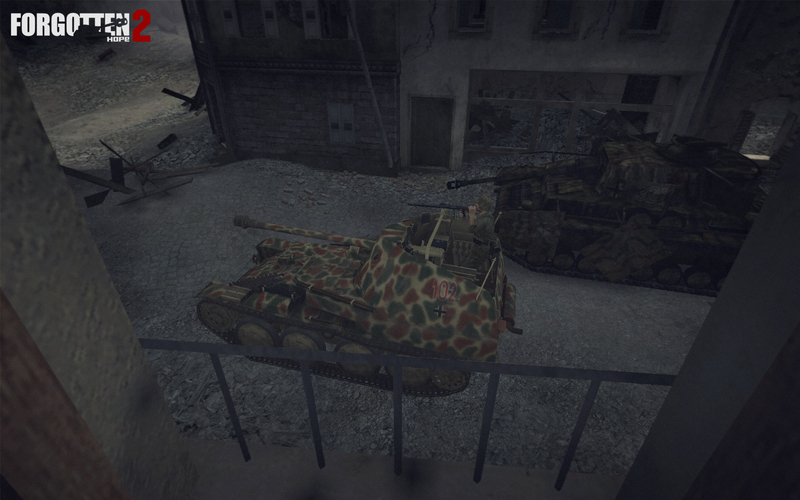 To see the full list of changes to existing maps, you can find posts by Gavrant in the Feedback Section of the forums. That's all for today, but be sure to come back tomorrow for the final update. Until then, feel free to visit our IRC channel, our public forums, and/or our Twitter and Facebook pages to discuss this update and other news. New to 2.46 is the FH2 Launcher, which has been made, tested and refined by Gavrant, Mayhemic.MAD and Spitfire. The new launcher provides several useful services, but the most useful is the built in update engine, that can check for and then download new versions of FH2 automatically. 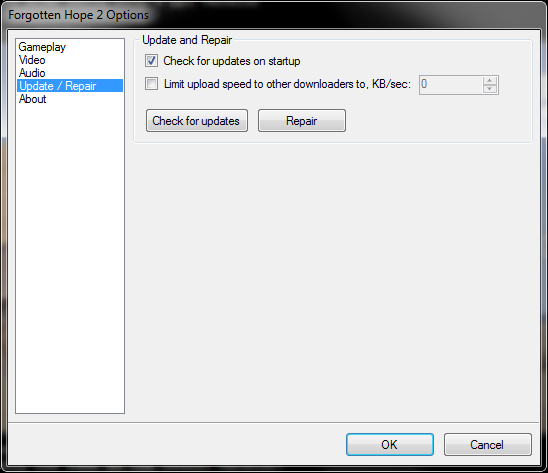 The download will restart from where it left off in the case it is interrupted. Broken your FH2 installation? Don't worry, the same torrent engine can repair it too! 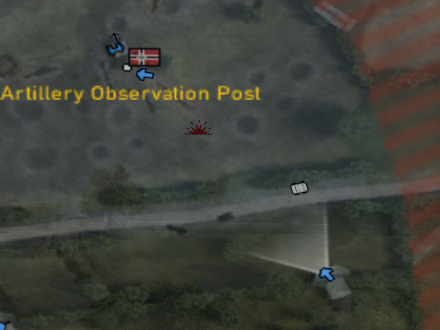 For those of you with custom maps, the launcher will leave these alone. 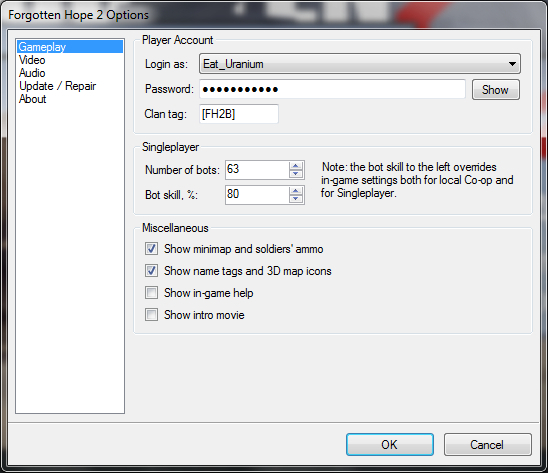 You can select which game account you'd like to login with, as well as the number of bots for singleplayer. The launcher also allows you to manage your game without having to use the ingame settings page. 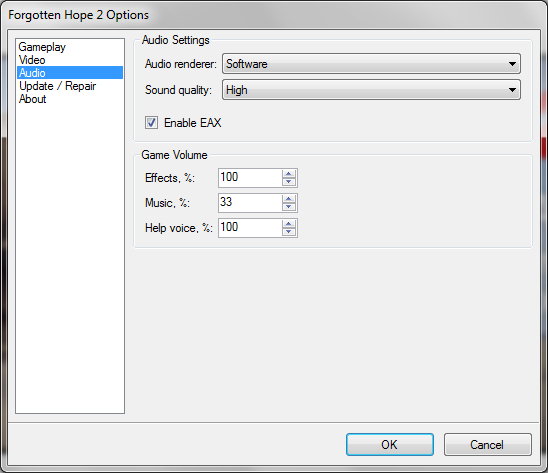 You can change the audio and video settings without needing to restart the game afterwards. For those of you who want to jump straight into the action on Friday, we have a pre-release download containing all the files you will need. The password to extract and install 2.46 from this download will be released on the website on Friday. You will need a bittorrent program to download the torrent file, many of these can be downloaded for free. If you are a server administrator and would like to have your server up and running by this Friday for the release, you can download the necessary files here. The md5 checksum can be referenced here. Although this come over a year and a half after the release of 2.45, we hope that the new maps, weapons and vehicles as well as the changes that we have made to the existing content will make up for this. 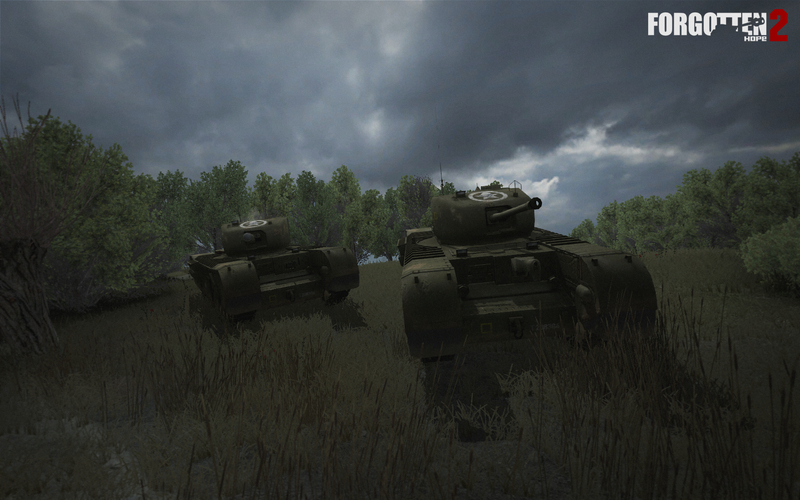 While we have announced both of the maps - Omaha Beach and Gold Beach - in this distinctly D-Day themed update, we still have a few items of interest to tell you about in the coming days. We would also like to give a special thank you to our beta testing team. Without their continued support and dedication, there would be no FH2 as we know it. Finally, as if the news of the next version wasn't exciting enough, we also have a few screenshots to show of the new communications rose that will be featured in version 2.46. As you can see, it is a lot simpler in layout to the current version, which should mean that it is much easier to use in life and death situations. 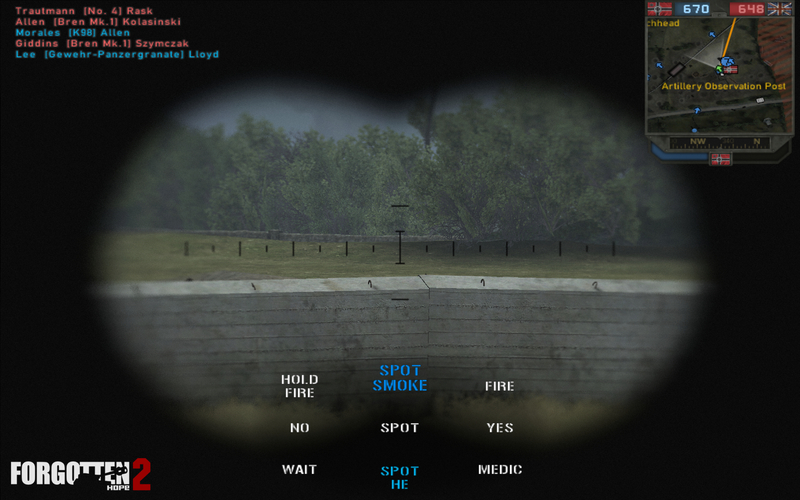 You might notice that some of the buttons have two commands; you can activate the alternative options by either left or right clicking. 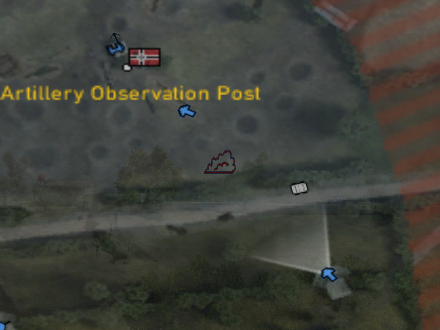 The new communications rose was made by Malsa, Gavrant and Spitfire, with the update to the artillery spotting provided by Gavrant. 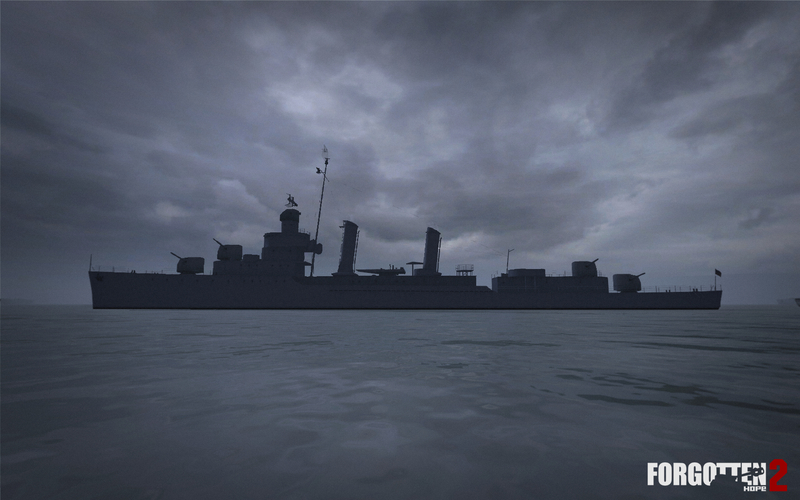 Our winner for this week's screenshot competition is Matthew_Baker. You can view the winning submission here. We are now accepting entries for the week of April 7th. The winner will be announced in the final part. If you think you have the best FH2 screenshot, post them here. As most of you may be aware, news from FH2 has been a little thin on the ground in the last few months. Today, we'd like to explain why. We have long been dissatisfied with the voiceovers that we've used. 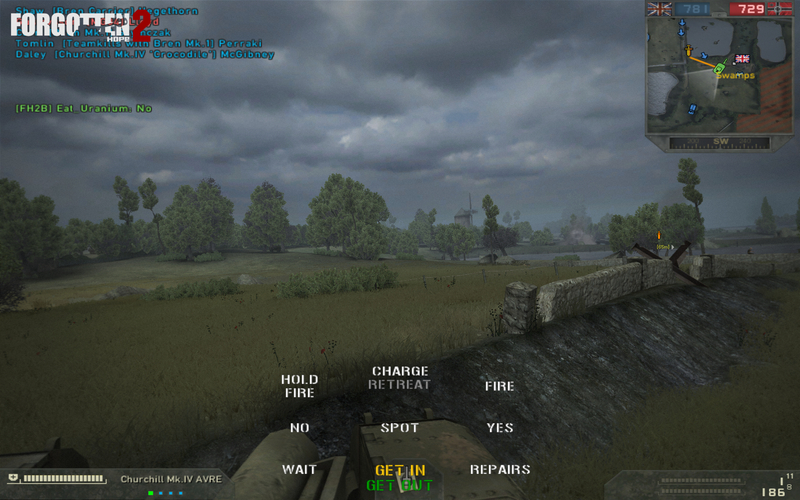 The original ones in version 2.0 were straight out of Battlefield 2, and too modern. 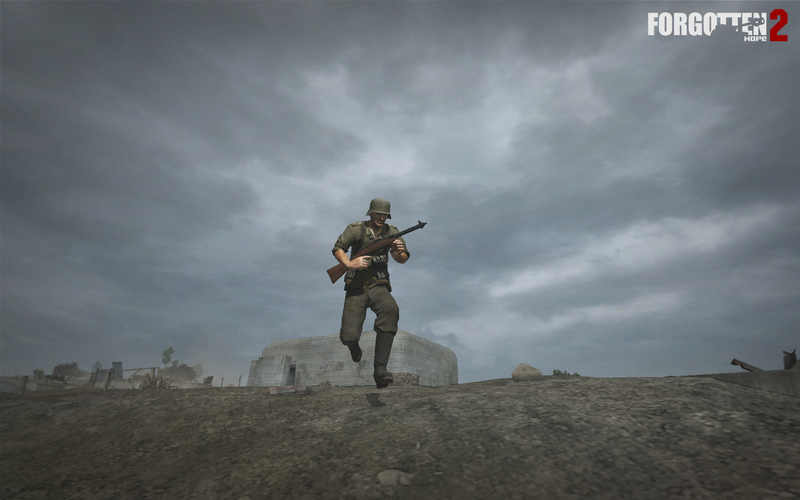 The current ones from Battlefield 1942 suit the time period well enough, but are missing some important commands and can also be a bit hard to understand. Well, with some hard work and lucky connections over the last 6 months, we have finally managed to improve! With the help of a talented voice artist (who would like to remain anonymous), we have completely remade every voice command. He has given us full sets for all current armies, armies in the future Eastern Front patches, and also a few more (just in case!). But what good is writing about these new voices if you can't hear them? Although we cannot show you the actual commands yet (we are still adding the finishing touches to the new commrose that was required), our voice artist was kind enough to narrate our first 2.46 teaser video, made by the talented NTH. 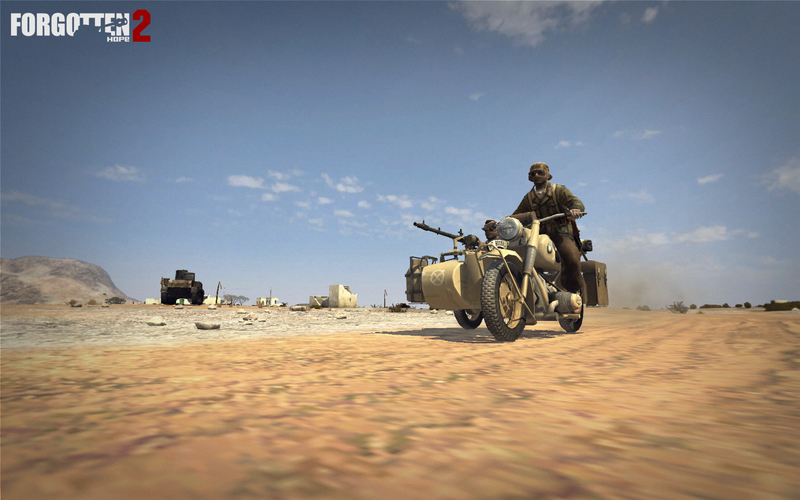 Our winners for this week's screenshot competition is RAnDOOm. You can view the winning submission here. We are still accepting entries for the week of March 31st. If you think you have the best FH2 screenshot, post them here.